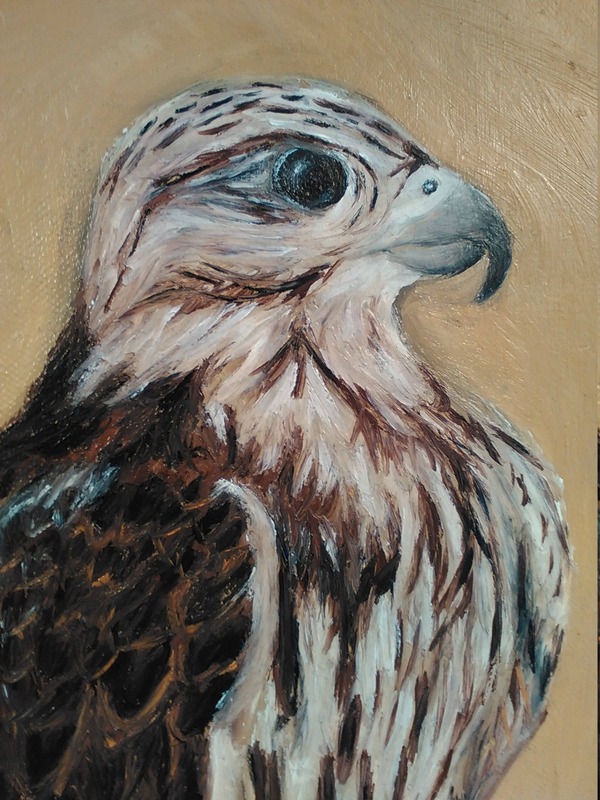 After a trip to Abu Dhabi in the Emirates, I was fascinated by the culture and lifestyle of the area, and particularly that of the local flora and fauna in such a hostile environment. 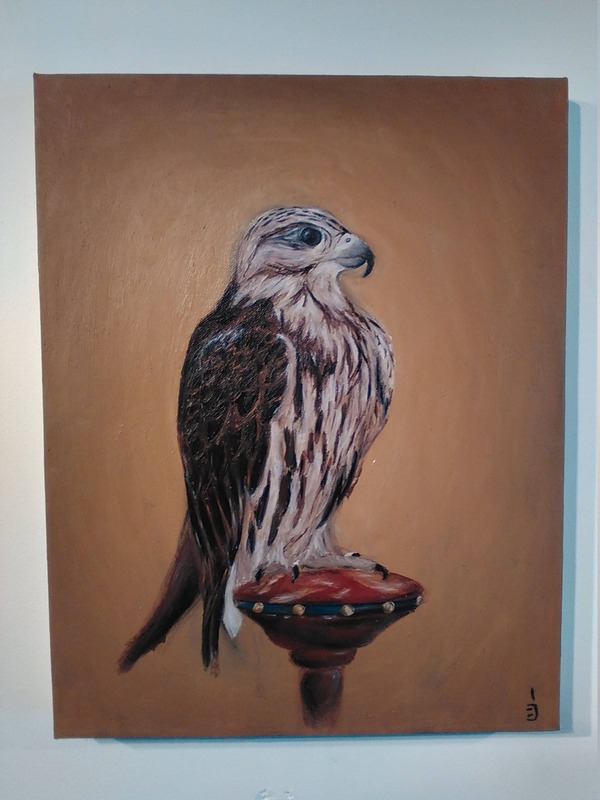 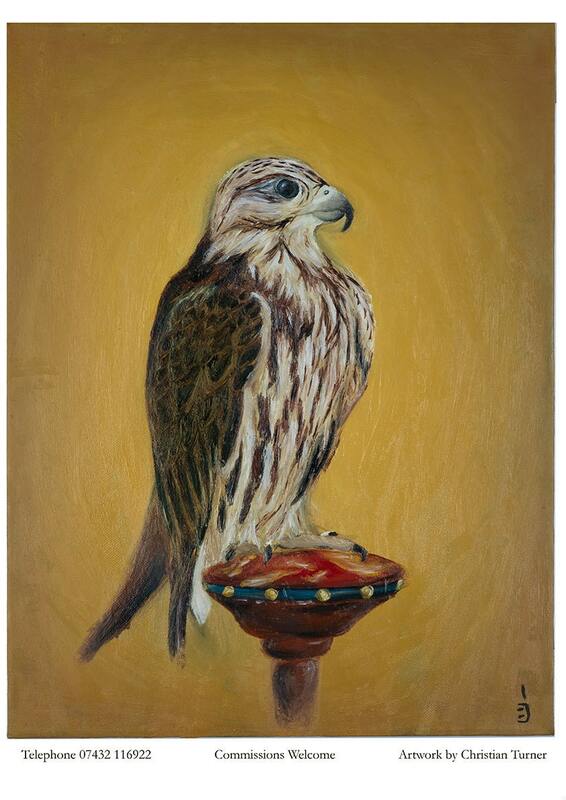 It did not take me long to decide to paint a picture of the Saker Falcon, as it fully encapsulated what I found so interesting about the area; an iconic symbol of the Emirates in virtually all of its facets. 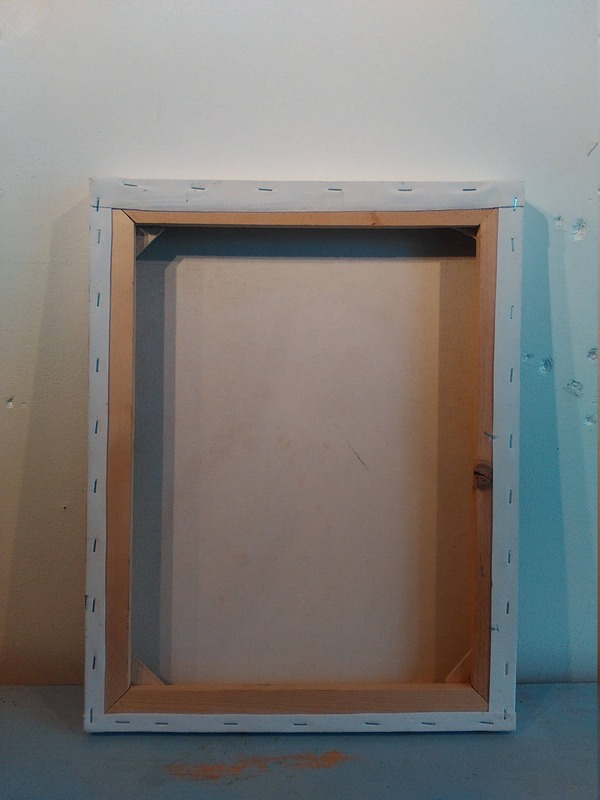 Picture is unframed and unmounted. 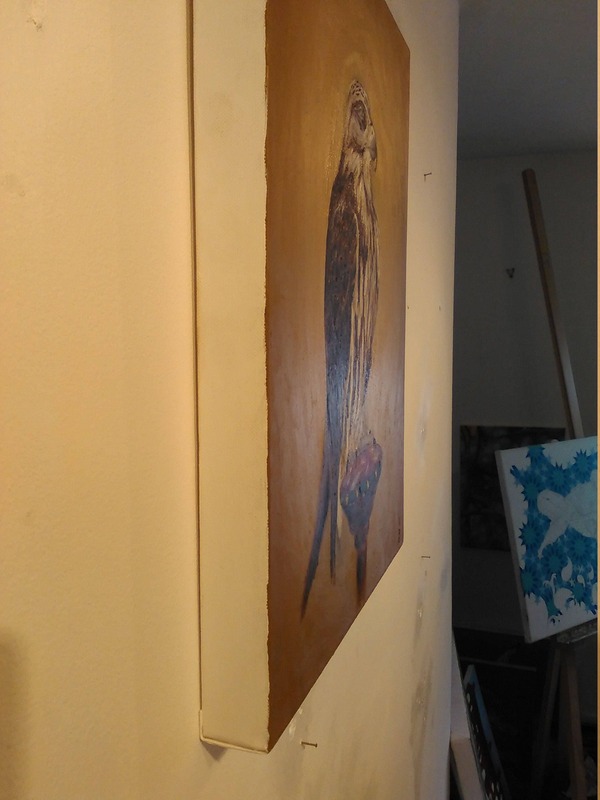 Note: the picture depicting the painting shows a stronger, brighter yellow than the original.